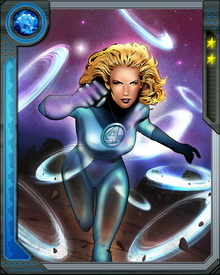 Sue Storm was part of the crew hit by cosmic rays that created the Fantastic Four. 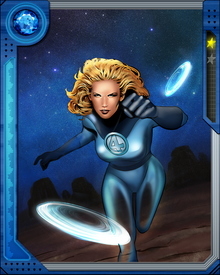 Known as the Invisible Woman, she can create invisible force fields and turn her body invisible. Iron Fist trained her to be an expert martial artist.